Nutritional Intravenous (IV) and Intramuscular (IM) Therapy is a mainstay in improving and optimizing your health. 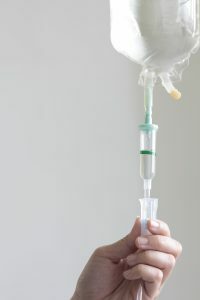 An IV is given in a simple 10 to 15 minute “push”, refueling you in an instant and getting you on your way. We have IM options that can be given either in the office or taken home, making this a very easy and effective option. At The Hormone Zone, we have many options depending on your specific clinical need.